This new compilation will serve as a great introduction to this band. The sticker that came on it called these guys the Hungarian answer to Yes and ELP. I don't think that really does this band justice. Their sound is a lot more unique and original than that. Also, I don't really hear any Yes in the mix here. I hear some ELP, mostly due to the vocals. All in all, this album shows a cool transition from psychedelic rock to prog rock. It covers a lot in between. There is a lot of great music here. Most of the songs are in English, but a few are not. This has an old time rock and roll meets 1960s pop rock sound. There are definitely elements of psychedelia in the mix, though. The little rhythmic break is classy. This has a lot of energy and some catchy hooks. As this opens, the prog elements are obvious. This has a lot of psychedelia in it, too. It makes me think of something like The Moody Blues meets Procol Harum in a lot of ways. It's melodic and quite classy. A harder rocking tune, this is very much a psychedelic number. It's a lot of fun, too. I dig the guitar sound. There are some proggy breaks. Folk prog and psychedelia merge here. I guess Procol Harum would be an appropriate reference here, too. That said, there is a lot more going on than just that. Building up gradually, this is a dramatic and powerful piece of music. 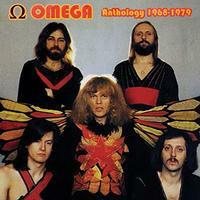 It's one that's more purely prog rock, but there are still some psychedelic elements at play - particularly the organ. The guitar soloing on this is purely on fire. I love the acoustic guitar sound on the start of this. The interplay with other instruments is very classy. This grows out with a definite folk prog sound from there. Non-lyrical vocals start this. As the cut builds out on the introduction it makes me think of Uriah Heep. It drops back to an arrangement that's closer to a cross between Procol Harum and Renaissance. The tune alternates those two sounds as it works its way forward. The movement with guitar solo later in the piece makes me think of Deep Purple's "Child in Time" a bit, as does that Uriah Heep styled section. We're back into more psychedelic rock territory on this number. It's energetic and rather catchy. It's also a bit of a fun ride. As you can probably guess from the title, this is the first song of the set not in English. It has a cool folk prog meets psychedelic vibe. It's a bit like the Animals mixed with Procol Harum. I love the organ soloing in the cut. The organ laced heavy rock sound at the start of this calls to mind Deep Purple. The cut works with that by moving forward and adding a bit of prog rock to the mix. Killer hard rock merged with prog is the concept behind this number. A drop back later to a piano led movement shifts forward into some more guitar based slow prog. It builds back out to more hard rock again, but eventually makes it way back to that mellower motif. This is one of the most dynamic cut on this first disc. It's also the longest one on the disc at over six and a half minutes. I love the sounds on this. The cut is a fast paced, hard-edged psychedelic rocker. It's a short cut that's at lot of fun. A slower moving cut, there is some blues in the mix here. The number is much more of a folk prog meets psychedelic rocker. I'd compare this one to Procol Harum in a lot of ways. The closing instrumental section really plays up the psychedelic angle. A harder rocking tune, this is part psychedelic rock and part old school garage rock. It's a nice change and fun song, but it's not prog. Well, the keyboard solo almost brings it into a prog angle, but not really. I love this song. It's definitely a cross between psychedelia and proto prog. It's hard rocking, fast paced and a lot fun on the opening section. It drops back to a slower movement that lets the psychedelia really play out nicely in a guitar heavy instrumental section. The fast paced jam returns at the end. Keyboards start this, and it grows out in a mellower kind of arrangement before powering up into a symphonic prog type of thing. It's a powerful cut with a lot of folk prog in it. Speaking of folk prog, that really nails the sound of this. This is fairly short and definitely solid. The sounds of wind bring this into being. A mellow prog arrangement rises up from there. A burst of louder music brings some rather space rock styled sound. That introduction continues by alternating through those sounds. It works out to a more stripped back arrangement for the vocals. The cut continues to evolve from there with some great blasts of sound. The tune really does work through some decidedly prog rock territory. I love some of the keyboard work on this. At times it sounds like theremin, and I'm a sucker for theremin. This comes out of the previous cut. It's probably half psychedelically tinged space rock and half prog. It's all cool rocker, though. Coming out of the previous one, this returns to the spacier themes of the opening piece on this CD. There are some great musical moments here, landing very much on the prog end of the spectrum. It leans on the mellower side of things, but it also manages to rise up into the vein of rocking sounds, too. Much more of a psychedelic rocker, this is another particularly classy tune. I love some of the instrumental work on this a lot. The instrumental section brings some prog to the table, along with some other more roots rock elements. I love the guitar solo on this beast. The weird jam at the end of the song is particularly cool. This comes in tentative and a bit mysteriously. It feels like Vanilla Fudge in some ways as it gradually builds up from extremely mellow territory. It bursts into more rocking prog territory, feeling a bit like a cross between ELP and early Pink Floyd. This is the longest cut on the whole set at almost seven and a half minutes. It makes good use of that space by working through some intriguing territory. There's a delicate little introduction to this. From there they fire out into a hard rocking jam that's more in line with ELP mixed with early King Crimson. This is a powerhouse number. It has some catchy hooks and a great prog edge. It drops back for some mellower stuff mid-track. It works its way back to more melodic prog from there to take the cut through to the end. Piano starts this and works forward in fine style. In fact, it's a bit of time before other instrumentation joins, and even then it's more keyboards. A spoken voice joins before the one minute mark. The piece continues to grow as the vocals become more sung. Still, the bulk of the vocals are more spoken. This is a powerful piece of space oriented prog rock. It gets quite involved and really does reach for the sky as it builds. I dig the melodic guitar solo quite a bit. This one is very mellow and spacey as it enters. It eventually shifts to slightly more rocking sounds, but they are still dominated by a spacey kind of texture. This is another that reminds me a lot of old Pink Floyd. There is plenty of psychedelia and mellower space music built into this thing. The jam later has a great mix of jazz and space music. It definitely calls to mind Pink Floyd to no small degree. A hard rocking groove, this is so fun. It's probably not the proggiest thing here, but it reminds me of Hawkwind just a bit. The instrumental features some killer guitar soloing. In some ways this tune makes me think of something like Sweet. Mellower, spacier prog opens this a bit like early Pink Floyd. It grows out from there in cool, psychedelically tinged style. It works out to more rocking stuff, but still calls to mind early Pink Floyd and psychedelic rock to a large degree. This comes in mellower and more mysterious. It grows out to some cool space oriented prog. This is more of a melodic prog cut. It's mainstream music in a lot of ways. I guess this does feel a bit like ELP, but the more "song" oriented stuff from that band. If anything here lands under the category of symphonic prog, it's probably this tune. This rocker is another that makes me think of a cross between early King Crimson and ELP. I like this a lot. It has some particularly potent vocals and the music drives it all quite well. The cut gets some space rock elements in the instrumental section that takes it at the end. While the vocals on this do remind me of Greg Lake, the music is closer to some of the more rocking stuff from Alan Parsons. There are some great shifts and changes on this. It gets into more purely symphonic prog based sounds at times, but also leans heavily toward space rock at other points. This is a dynamic cut that's one of the longest here at seven minutes and eleven seconds. I really love the extended keyboard dominated instrumental section that eventually takes this piece to its close.